The Farm at San Bendito offers guests a chance to regain balance in their lives and achieve their optimal state of health. The detox programme at The Farm promises to remove toxins from the system, replenish energy levels, improve complexion, prevent allergies and aid weight loss, among a variety of other health benefits. The programme is based on colon, liver and kidneys cleansing: the standard programme length is seven days, but the retreat can be adapted any number of nights requested and can be tailored for medical conditions or specific health goals. The classic detox programme comprises five days of medically guided fasting in order to let the digestive system rest, followed by two days of light detox diet from the Alive! restaurant. The detox is further stimulated through the skin using scrubs and wrappings, by draining the lymphatic system. Not content with merely detoxifying the body though, the programme also includes yoga, pranayama, tai-chi, and meditation to detox the mind, too. They offer nine different room and villa types. 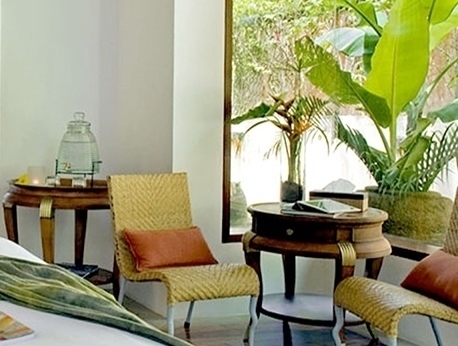 Designed in a traditional Filipino style, every room includes air conditioning, wifi, safety deposit box, handmade coconut bathroom amenities from The Farm’s organic coconut plantation, hairdryer, bathrobes and slippers, drinking water, kettle and tea, and fresh seasonal fruit on arrival. For added luxury, opt for the Nara, Master or Lakan villa, which features their own private pools, walled gardens and private terraces. With a farm-to-table philosophy, The Farm uses all-natural ingredients, most of which are hand-picked from its own organic gardens. They are prepared at the in-house restaurant, Alive! using innovative methods to deliver vegan cuisine that is as delicious as it is nutritious. From a raw menu to vegetarian vegan of your best-loved dishes, The Farm’s menu offers a variety of delicious and nutritious cuisine. Enjoy a twist on Penne Carbonara, with coconut oil bacon and cashew cream sauce; roasted beetroot soup; or grilled aubergine ratatouille. The Farm additionally operates a ‘light menu’ of snacks and juices for those on a cleanse. The raw dishes are prepared using a variety of innovative techniques, including soaking, blending and dehydration which gives the dishes an added nutritional boost of uncooked enzymes and vitamins. Rates & Inclusions are subject to change without prior notice. Published Rates valid until December 31, 2017. Please note that foreign currency values are subject to change, The Farm will use the prevailing “Hotel Exchange Rate of the Day” on the date of payment. Local currency is still being honoured and applied. 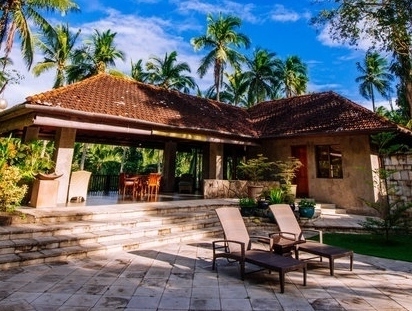 South of Manila in the tiny village of Benito, The Farm is a collection of traditional villas and stunning swimming pools nestled among lush tropical gardens. 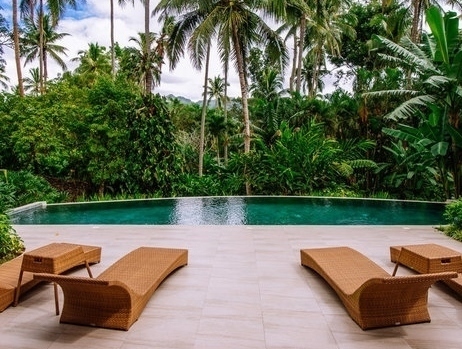 This Vegan resort is only a 90-minute drive from Manila International Airport, making it both accessible and remote.